As McKeeCo Services' CEO and managing partner, Lynette McKee, CFE, serves as a strategic franchise and development advisor to various restaurant and hospitality brands. McKeeCo's clients benefit from Lynette's more than two decades of experience serving companies including Dunkin' Brands, Burger King, Denny's, Checkers and the Metromedia Restaurant Group and, most recently, the Executive Director of the National Restaurant Association Educational Foundation. 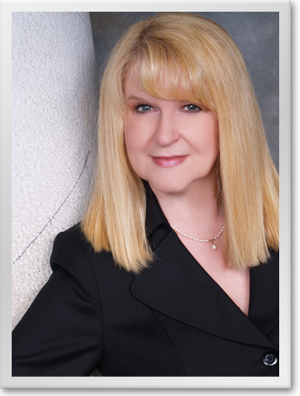 Lynette is a frequent guest speaker and in 2011 was awarded the Bonnie LeVine Award by the IFA, given to the outstanding female executive in the franchise industry. She has also earned accolades from the IFA's Women's Leadership Council, Women's Foodservice Forum and the Griffin Report. Additionally, she volunteers her time to help increase education and women's leadership opportunities in the franchising and foodservice industries. Lynette currently serves on the IFA Diversity Foundation. Her past Board and committee participation includes the IFA/ICFE Board of Governors, Women's Foodservice Forum Board of Directors, National Restaurant Association Educational Foundation Board of Trustees, NRA Board of Directors and the IFA's Women Franchising Committee. 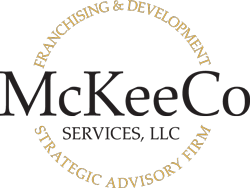 ORLANDO, Fla. -- (February 12, 2013) – Franchise industry veteran Lynette McKee, CFE, announced today the launch of McKeeCo Services, LLC, a franchising and development strategic advisory firm. McKeeCo Services will provide insightful franchise consulting to foodservice, hospitality, retail and service brands seeking to grow or improve their system’s performance.